Mr. T is Real Ultimate Power, Fool! Hi, this site is all about Mr. T, THE REAL Mr. T. This site is awesome. My name is Dwight and I can't stop thinking about Mr. T. This guy is cool; and by cool, I mean totally sweet. 1. Mr. T is a mammal. 2. Mr. T pities the fool ALL the time. 3. 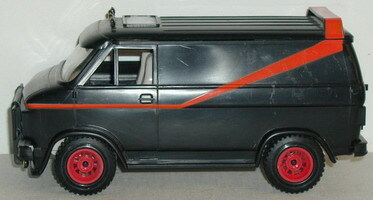 The purpose of Mr. T is to flip out and customize his 1982 GMC van. Mr. T pities all the fools he wants! Mr. T avoids airplane rides ALL the time and doesn't even think twice about it. This guy is so crazy and awesome that he boxes with Sylvester Stallone ALL the time. I heard that Mr. T was eating at a military base. When some kid dropped a spoon, Mr. T sent him and his friends to a community center and made them drink milk. My friend Mike said that he saw Mr. T totally convert his 1982 GMC van to shoot cabbages just because some guy opened a window. 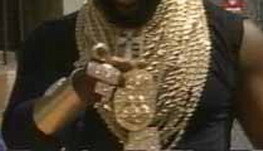 If you don't believe that Mr. T has REAL Ultimate Power you better get a life right now or he will mash his massive gold rings into your face!!! It's an easy choice, if you ask me. Mr. T is sooooooooooo sweet that I want to crap my pants. I can't believe it sometimes, but I feel it inside my heart. This guy is totally awesome and that's a fact. Mr. T is huge, smooth, cool, strong, powerful, and sweet. I can't wait to join the A-Team fan club next year. I love Mr. T with all of my body (including my pee pee). Q: Why is everyone so obsessed about Mr. T? A: Mr. T is the ultimate paradox. 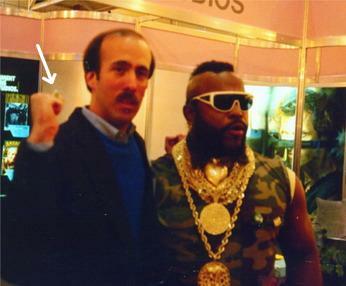 On the one hand he pities the fool, but on the other hand, Mr. T is very careful and precise. Q: I heard that Mr. T is always cruel or mean. What's his problem? A: Whoever told you that is a total liar. Just like other mammals, Mr. T can be mean OR totally awesome. Q: What does Mr. T do when he's not pitying fools or customizing his 1982 GMC van? 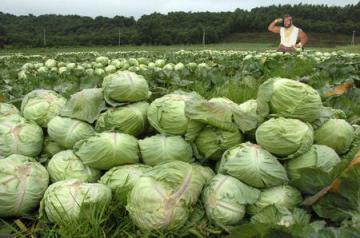 This is a picture of my brother Jimmy showing off. that Mr. T gave him, which is bragable.